What do you get when three National Historic Landmarks and Gilded Age icons put on their most festive finery to celebrate the “most wonderful time of the year”? 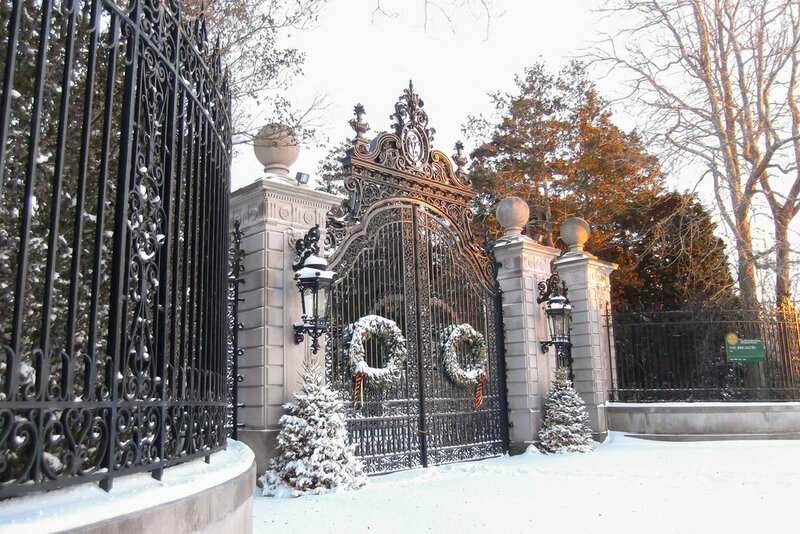 Christmas at the Newport Mansions. Every year at this time, The Breakers, The Elms, and Marble House throw open their doors to offer the public an especially glittering glimpse of the luxurious life for which they’re known. Here’s a peek at what lovers of all things merry and bright can expect to find. From thousands of poinsettias and 28 themed Christmas trees to candlelight windows and period-set holiday tables, Christmastime at the Newport Mansions is the season personified. Highlights include a 15-foot tall poinsettia tree and impressive model train set at The Breakers; a ballroom-turned-Gilded Age streetscape at The Elms; and a mantelpiece-decorating competition at Marble House. All of the mansions are open daily for tours every day between Saturday, November 19th and Monday, January 2nd with a special guest -- the robust jolly one himself -- stopping by on Sunday afternoons. And while the sun may set early this time of year, the Newport Mansions will be keeping their lights on for you every Saturday night. Holiday Evenings at the Newport Mansions features entertainment ranging from big bands to barbershop quartets -- all set against a breathtaking backdrop of golden era elegance. 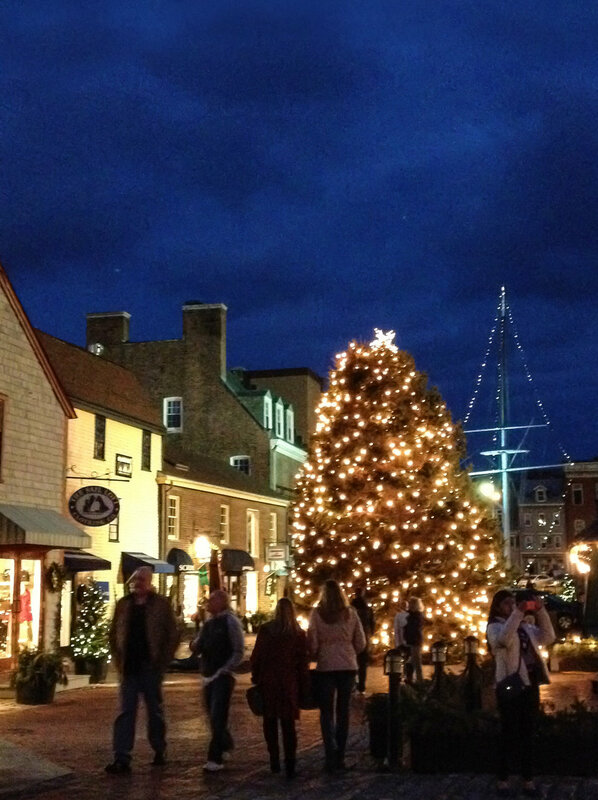 But Newport’s holiday offerings don’t end there. 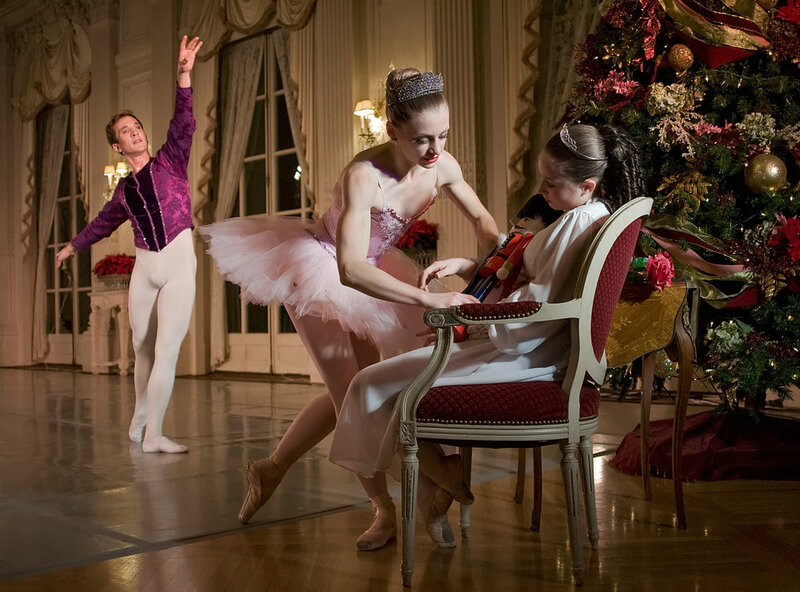 Head down the road to Rosecliff mansion to take in the Island Moving Company’s annual and eagerly awaited performance of the Newport Nutcracker at Rosecliff. If you've ever fantasized about stepping into the scenery of this much-loved ballet, this production -- which moves from room to room -- offers a transportive way to engage in the the performance.